We still know far too little about the beliefs and practices described in Tantric texts and almost nothing about the legacy of these traditions, either among past or contemporary Hindus. . . . Srividya was created, elaborated, and perpetuated by Sanskrit-literate Hindus . . . by male smarta brahmans . . . we will [focus] on living interpretation and practice (p. xiv). Further, in the Sri Vidya tradition one accepts and aims for both Self-realisation and welfare otherwise, on the material plane included. The general principles are similar to those found in Kashmir Shaivism. One needs to be initiated by a gurudev to get a head start, it is taught. Mantras are taught as likable means to realisation, welfare and boons in life. Dr. Sands' book serves as an introduction to the over-all picture after Maharishi's basic Transcendental Meditation with Questions and Answers. Below is a selection. Brooks, Douglas Renfrew. Auspicious Wisdom: The Texts and Traditions of Srividya Sakta Tantrism in South India. Albany, NY: State University of New York Press, 1992. Flood, Gavin. An Introduction to Hinduism. Cambridge: Cambridge University Press, 1996:187-89. Hindupedia, the Hindu Encyclopedia, s.v. "Sri Vidya"
Mason, Paul. Roots of TM: The Transcendental Meditation of Guru Dev and Maharishi Mahesh Yogi. Penzance, UK: Premanand, 2016. 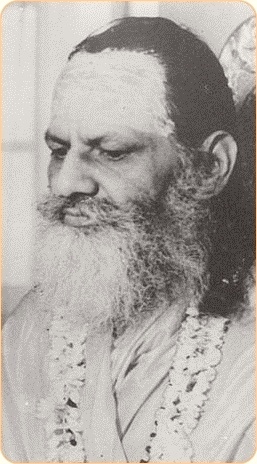 Sands, William F. Maharishi Mahesh Yogi and His Gift to the World. Fairfield, IA: Maharishi University of Management Press, 2012. WP: Wikipedia article: "Sri Vidya". Yogi, Maharishi Mahesh. Transcendental Meditation with Questions and Answers. 3rd ed (a reprint of the 1st ed. of 1967, with new appendices). India: Spiritual Regeneration Movement, Maharishi Foundation International, Maharishi Vedic University, 2011.